The isolation I felt in navigating this career was compounded as a person of color— not only was I sending cold emails looking for any connections, I was also usually the only person of color at the events I went to. I was isolated both on and offline, until I happened upon an online group dedicated to artists of color. The immediate acceptance and support was astounding. Perhaps the community is strong because we need each other so much, but the contrasts within this community and outside were striking. Where small, white-owned businesses were eager to collaborate on pro bono or “for exposure” projects, this POC community regularly discussed the necessity of compensating artists for their work. Where local shops were quick to capitalize off “#feminist” and “the future is female” merchandise, this POC community was hosting fundraisers to support groups that benefit marginalized communities and artists with chronic illnesses. Where other artists were secretive about their contacts and workflows, this POC community shared their leads and resources, hosted regular meetups and workshops, and stressed the importance of showing up physically and/or with monetary support— the key to sustaining safe spaces for artists of color. Today I wonder how Portland can still be known for its creativity and progressive ideals when there has been such limited support and investment in these communities. Beyond the secretive, tight-lipped competition I experienced during my first few years, I wonder about the monetary and accountability investment to guarantee that diverse art has a future here. The current climate means that we’re narrowing gaps on representation, but representation is just the beginning. Now that people of color are the token melanin on magazine covers and brown bodies in ad campaigns, Portland needs to go deeper in supporting artists of color financially. Systemically, institutions are overdue to follow through on the values they claim to guide them. In a recent event sponsored by multiple Portland-based organizations whose websites state their commitment to arts accessibility (RACC included), this event boasted Asian-inspired themes, required $100+ tickets to attend, and included no people of color as featured artists or organizers. When community members expressed their concern about the lack of POC and the inaccessible pricing, the organizers deleted their comments then blocked the people who left them. This situation exemplifies the systemic dismissal and inequity for the marginalized to not only participate in the arts, but Portland’s continued habit of silencing the people they’re profiting from. It wasn’t just the cost of the tickets, or that the organizers erased the voices of people of color, but that a very specific demographic of artists are continually given the platform and funding to engage in the arts without accountability. When will artists of color receive the same funding, the same platform, the same opportunities as those profiting from their culture? This event and the situation that unfolded is the perpetuation of classism, racism, and the idea that the arts are only a safe space for a select few. Furthermore, its proof that organizations who declare their commitments to “diversity” and “inclusivity” are not thorough in ensuring these values are reflected in the artists and art they sponsor. For everyday Portlanders, investing in artists of color means buying their art and not just sharing it. This means hiring outside of your social circle and making opportunities accessible and equitable for artists of all backgrounds. This means paying the models/poster people for your campaigns and hiring artists of color to create the work. This means paying artists for magazine features and speaking events, because sharing our experiences is still grossly underpaid labor. Investing in artists of color isn’t simply giving them your money (though that’s a huge part); it’s also knowing where your financial support goes. Who else is benefiting from your spending, and are those people doing their part to ensure safe and equitable spaces for other artists of color? We are long overdue for Portland— institutionally and personally— to follow through on their performative speeches. It’s time to dedicate both our time and money to support marginalized artists and organizations because without these investments, we fail to invest in the best version of Portland. 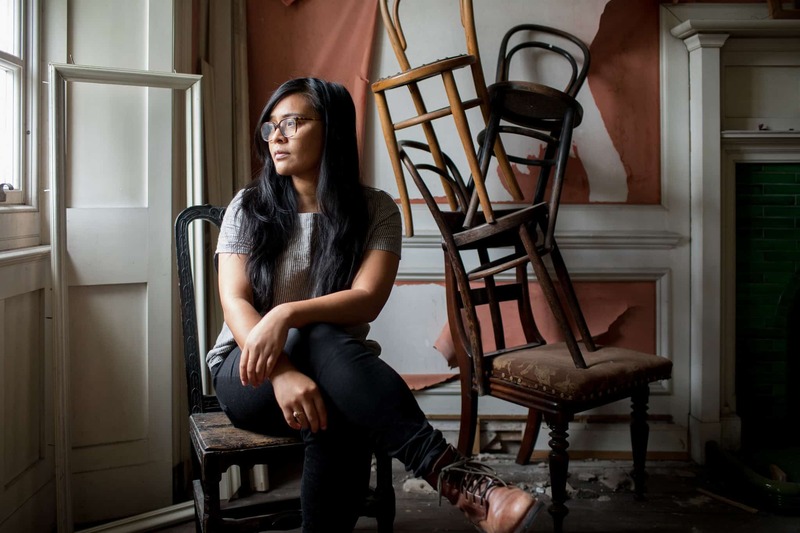 Celeste Noche is a Filipino American food, travel, and portrait photographer (and sometimes writer). She advocates for diversity and inclusivity, seeking to share stories of underrepresented communities. She is a regular contributor to Street Roots and a 2018 RACC-grant recipient for Portland in Color, a series dedicated to highlighting artists of color in Portland.